"Together with people around the world impacted by climate change, we demand that you immediately put a stop to coal expansion, and start rapidly phasing out coal. This is necessary to prevent climate breakdown and keep warming below 1.5°C." We’re at a critical juncture. After years of deliberation, consultation and stalling, the German government is close to deciding on the future of coal - and the future of our climate. A special commission was set up in Germany to plan the phase out of coal. But the coal lobby continues to create enormous pressure to delay real action. Fossil fuel companies like RWE knowingly put their own profits before the livelihoods and survival of those on the frontlines of climate change and fossil fuel extraction. Phasing out coal is a question of political will. That’s why we’re calling on the German government to listen to the stories of those impacted by climate change and understand what’s at stake. By raising our voices, and gathering support from people all around the world, they will have to hear us, and recognise that showing climate leadership means keeping fossil fuels in the ground. The latest IPCC report from the world’s leading climate scientists made it clear: limiting global warming to 1.5°C is not only possible, it is crucial to avoid the most catastrophic impacts of climate change. Climate change is already rewriting the stories of millions of people around the world. This is a matter of survival. 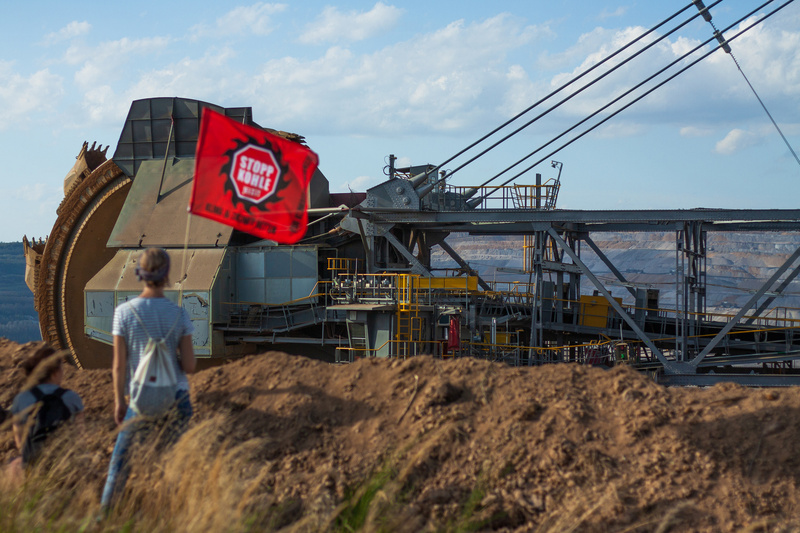 Pressure on the German government to phase out coal has been building in recent months. Mass protests helped save the Hambach forest from coal company RWE’s plans to expand an enormous lignite mine - the largest source of CO2 in Europe. They were stopped by people power - and the struggle to save Hambi become a powerful symbol of Germany’s coal problem and resistance. As one of the biggest emitters of carbon in the world, Germany has a responsibility to take urgent action in line with what science and justice demand. What’s more, the vast majority of its population supports a rapid coal phase-out. Given all that is at stake, there is no excuse not to move forward with a rapid transition to a just economy powered by community-led renewable energy. As people from around the world, we demand that the German government phases out coal, stops fueling the climate crisis and acts to keep global warming below 1.5°C. Thank you for signing this global call for Germany to stop fueling the climate crisis and phase out coal. Will you share this petition with friends and family to help us make this call to action louder? Sign the petition: Germany, time to quit coal! Together with people around the world impacted by climate change, we demand that Germany stops burning coal, NOW. Add your name!